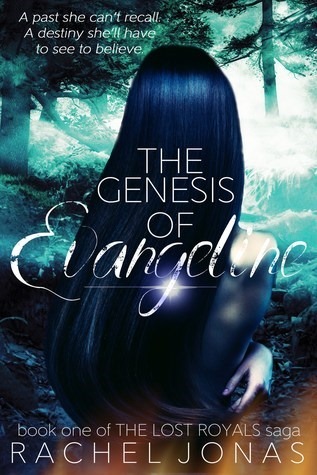 The Genesis of Evangeline by Rachel Jonas was a solid, fast-paced read. I immediately sank into the story and fell in love with the characters. The author did a good job of making the reader empathize with all of the different characters, particularly the love interests. I’m a firm believer that love triangles only work if both choices are equally appealing, and the author managed to pull that off. The world building, though cryptic in this first installment of the series, hinted at a depth that I look forward to expanding upon in the subsequent books. The characters were authentic and smart – none of the ridiculous choices and actions you find plaguing young adult fiction these days. My only complaint really is that I did run into a handful of spelling errors. That aside, I would easily recommend this book to anyone who enjoys supernatural YA stories. This book was well worth the price for a fully-fleshed out read hinting at a larger saga. After dying in a car accident with her two best friends, Lily miraculously awakens to grief and guilt. She escapes to her dad’s to come to terms with the crash and meets some people at her new school who seem all too eager to help her heal. Sliding deeper into sorrow and trying to fight her feelings for two of them, she discovers who…what they really are and learns they are falling too. Can she find the strength to move on from the past, reconcile her feelings for Luc, figure out how to stop a divine war with fallen angels, and still pass the eleventh grade? 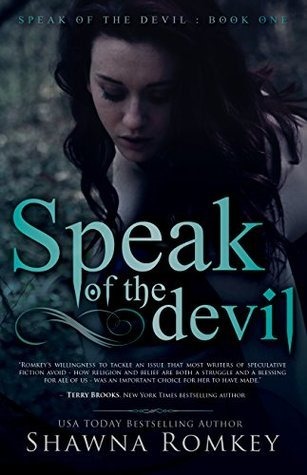 Speak of the Devil by Shawna Romkey was a fast-paced intriguing twist on the battle between good and evil. The writing was clear and easy to follow, the characters were interesting, and the plot was fresh and entertaining. All that being said, the book wasn’t all rainbows. There was some very serious subject matter handled in this book and it may be a bit triggering to some. The main character deals with the death of her friends, depression, and thoughts of suicide. There is a brief scene of a near-sexual assault. However, I do think that the author handled these well. They weren’t egregious or used to spur on drama. A lot of care was taken to put the reader in the main character’s mind so we could understand her feelings. It never got whiney or over-dramatic. Overall, I enjoyed how this book was handled and I found it both interesting and entertaining. 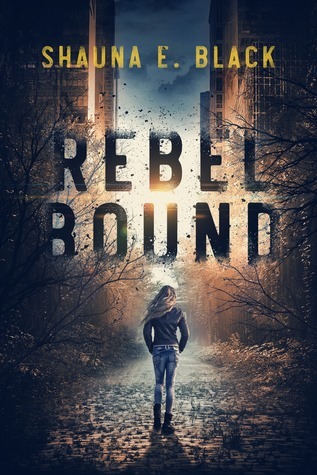 It isn’t going to be for everyone – as it deals with some heavy subject matter – but if you enjoy good vs. evil YA fiction, I recommend you give it a try. Two nights after her eighteenth birthday, Lily is attacked while out jogging, but is saved by Tharin Lunar, a Sidhe prince. When she discovers that her attacker is her own brother, Lucas, who disappeared four years ago, Lily refuses to believe that her brother would truly hurt her and becomes determined to find Lucas and bring him home. Lily finds that Lucas’ disappearance is somehow tied to Tharin; so when he informs her that she is his betrothed and must return with him to Velesi, fulfill a treaty between their families and unite the two strongest clans through their marriage, Lily agrees. However, she’s not going to Velesi for a wedding, but to bring home her only family, Lucas. On their journey to the borders of Velesi, the realm of the Thirteen Clans, they’re pursued by a Sidhe assassin group call the Ange, meet with an ogre crime lord that ends badly, deal with a sleazy troll motel manager, and when they discover that there’s a bounty on their heads, they must keep one step ahead of every assassin, bounty hunter and low-life criminal in Velesi. Protecting Lily has become the biggest challenge of Tharin’s life. Lucky for him he has help in the form of his twin brother, Tolan, Lily’s best friend Julia and his three bodyguard cousins. 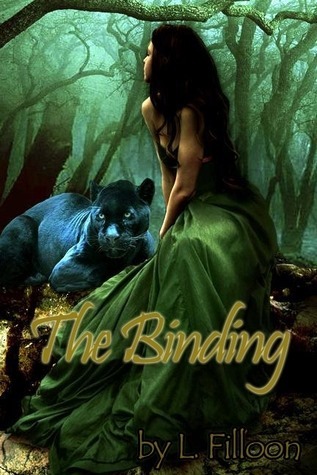 Although I liked the overall premise of The Binding by L. Filloon and for the most part, I enjoyed reading it, the book wasn’t without its faults. The book was easy to read and moved at a nice pace but contained a multitude of misspellings and tense issues. The errors were obvious and I stumbled a few times as I read on. It was clear that the book lacked a solid editor. The characters, though fun and likable, lacked a real sense of depth – they all read about the same, and some were completely unnecessary. The character Julia, the main female’’ lead’s best friend, was one of these. She was an over-written side character with an exceptionally rough past that instantly falls in love with the second prince. It was unbelievable cliché and needless to have her in the story, and I spent more time rolling my eyes at her character structure than I did enjoying her sass. Overall, yes, I was entertained, but the book was just okay. I feel like a good editor and some constructive time spent re-working the characters wouldn’t go amiss.